A Follow Spot: Seedling Theatre On Stage with "Laura's Christmas Surprises"
Seedling Theatre On Stage with "Laura's Christmas Surprises"
Seedling Theatre, which specializes in pairing "special needs children and young adults with their age appropriate peers...to experience the exciting challenge of performing live theatre," will offer "Laura's Christmas Surprises" on Thursday (December 1) and Saturday (December 3) at 7 pm as well as Sunday (December 4) at 3pm. 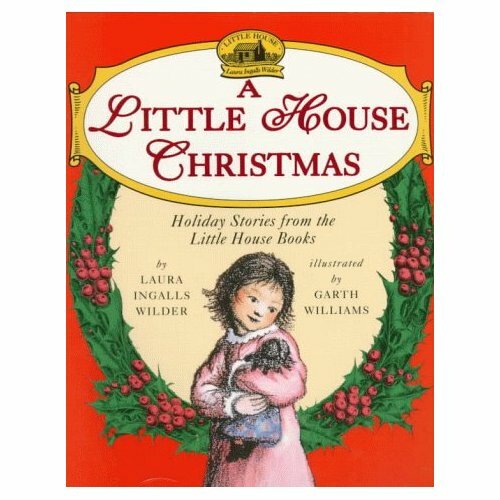 "Laura's Christmas Surprises" is based on the work of beloved children's author Laura Ingalls Wilder, best known for her "Little House" series, as adapted for the stage by Claire Coleman Lamonica, Associate Director of ISU's Center for Teaching, Learning & Technology. 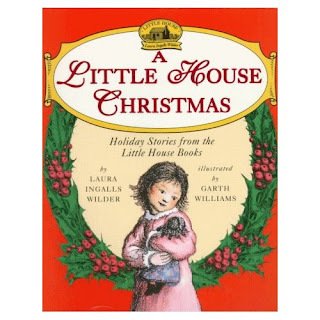 Wilder's Christmas stories from several of the Little House books have been collected and published separately in two volumes, the first of which you see below. All performances of "Laura's Christmas Surprises" will take place at First Christian Church, 401 West Jefferson Street in Bloomington. You may purchase tickets at the door, with prices ranging from $5 for anybody under college age to $10 for adults. If you need more information, you are invited to contact Seedling Theatre Artistic Director Donna Anhalt at 309-838-2923 or donnaanhalt@hotmail.com. Today's Pantagraph also ran an article on "Laura's Christmas Surprises" that you can read online here.